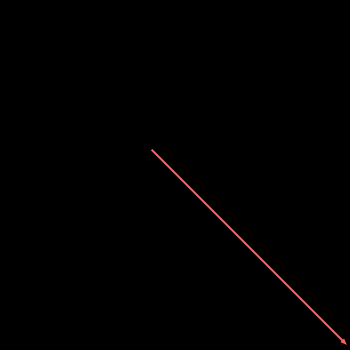 Computes the direction angle of a vector as an angle in range the from 0 to 360. Note that because of inaccuracies of floating-point arithmetic, some geometric operations (including this one) may lead to unpredictable results for degenerated cases. In this filter such a case occurs when a zero vector is given on input. VectorDirection performed on a vector with parameters: DeltaX = 10, DeltaY = 10.